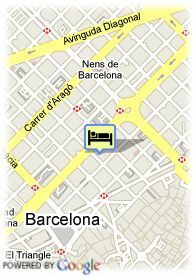 C/ Bruc 33, 08010 Barcelona, Spain. This sophisticated hotel is characterised by its convenient location in the heart of Barcelona; Passeig de Gràcia, Plaça Catalunya and Las Ramblas are all in the vicinity. Such a strategic situation within easy reach of the main areas of the city, the commercial centres and excellent public transport links is ideal for any traveller, whatever their reason for visiting Barcelona. However it is also within a tranquil position of the city, yet near the centre, train station and old town. Housing is smoothly stylish, smartly designed ultramodern interiors which incorporate the fashionable trend for minimalism, the hotel offers warmly decorated, comfortable and contemporary accommodation consisting of a range of fully-equipped rooms. 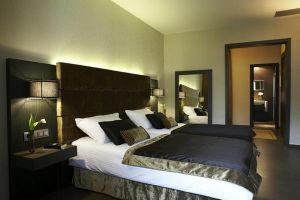 With a sophisticated and cosy atmosphere, this intimate urban hotel offers a high level of quality services. Near trainstation, Centre, Near shopping centre.